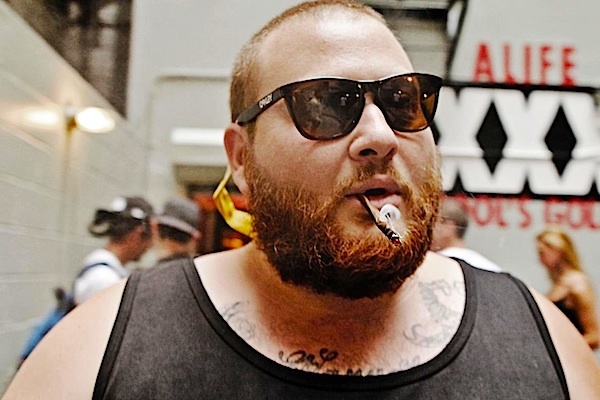 Action Bronson is gearing up to release his anticipated Blue Chips 2 mixtape in only a few days and last night Peter Rosenberg did the honors of premiering the project’s first single titled “Practice.” Producer Party Supplies decides to find some inspiration from former NBA star Allen Iverson’s infamous press conference as he uses an audio snippet to kick things off with in the song’s intro. Bronson does what he does best and shows off his savvy wordplay infused with rhymes about fine cuisine, his love for his G Pen, women and much more. Blue Chips 2 is due to drop on November 1. This entry was posted in Audio and tagged action bronson, blue chips 2, hip hop, mixtape, party supplies, rap, single. Bookmark the permalink.